Emily lives on a boat, but her mother has always been oddly anxious to keep her out of the water, and it is only when she has her first school swimming lesson that she discovers it is her natural element. As soon as she gets into the sea, she grows a tail! Now Emily dives under water to explore a glorious world of fishes, coral, shipwrecks and, of course, mermaids. She finds a best friend, another mermaid. 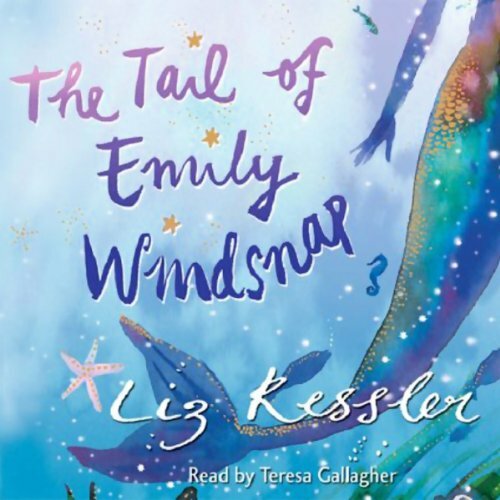 She learns how her mother fell in love with a merman, how her father was snatched away when Emily was a baby, and how her mother's memory was blocked by an agent of the merfolk. And in an unexpected and exciting denouement she reunites the family at last. This enchanting fantasy, with its vivid scenes of a brilliantly realized underwater world, tells the story of a delightful and wholly believable girl. Strongly plotted, it deals with universal themes of families, friendship, love and justice, all handled with a lightness of touch and an assurance that marks Liz Kessler out as a highly accomplished writer. ©2003 Liz Kessler (P)2005 Orion Publishing Group Ltd.